The Department of Justice is suing the city of Ferguson, Missouri. Attorney General Loretta Lynch announced the lawsuit this afternoon following the Ferguson City Council’s decision to amend parts of their agreement with the DOJ for police and municipal court reform. Last summer, the DOJ released a report which found that the Ferguson Police Department had a demonstrated practice of discrimination against black citizens. They also found that law enforcement violated the constitutional rights of protesters during the 2014 demonstrations following the fatal shooting of Mike Brown. The Justice Department wasn’t expecting any changes to the negotiated deal and wasted little time in responding. In her statement today, Attorney General Lynch said that she was disappointed by the outcome and promised to aggressively pursue the case. 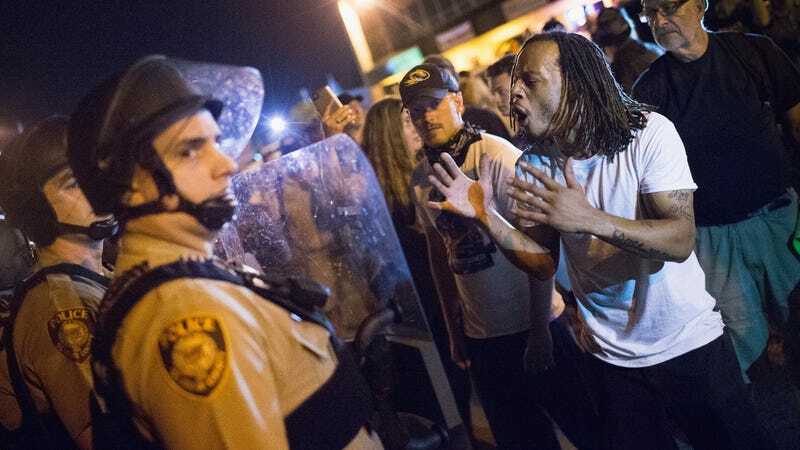 Federal authorities had no other choice but to file a lawsuit against the city after the Ferguson City Council voted to change the terms of a consent decree, Lynch said.